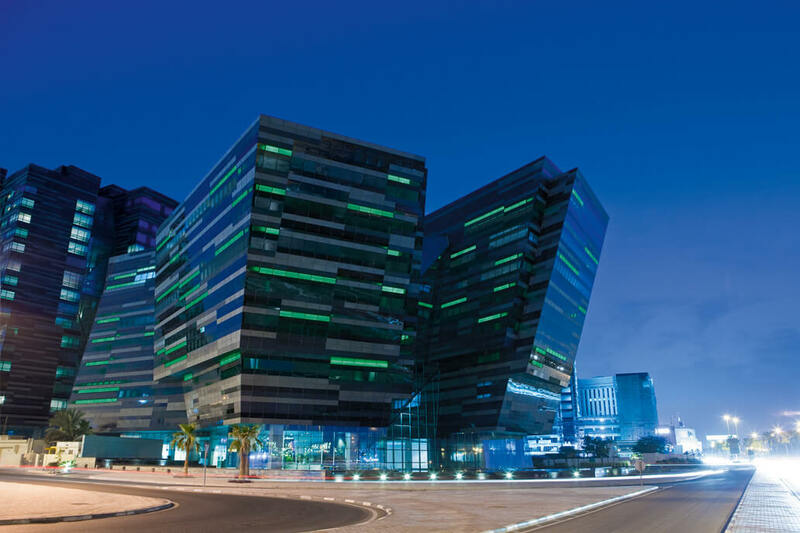 The office building in central Doha is characterized by an avant-garde architecture with a deconstructivist formal language. 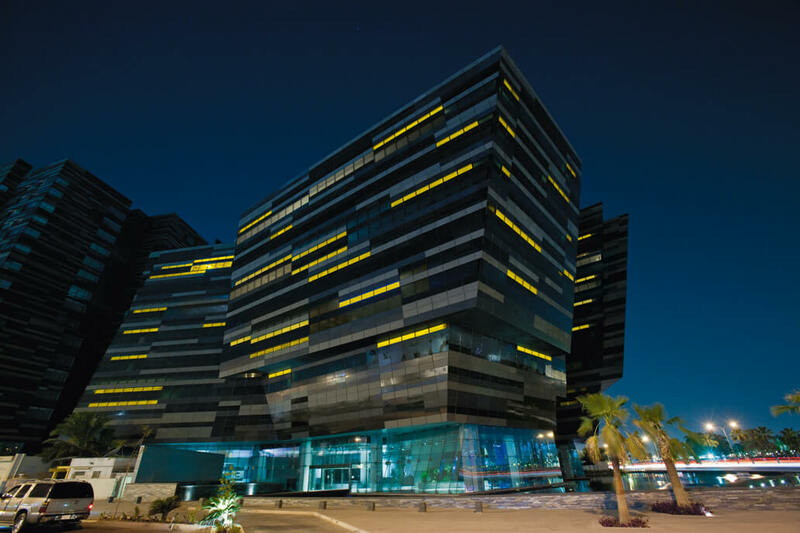 Some elements of the building’s glass cladding were equipped with emdelight glass, thus enabling the building to seemingly glow at night, from the inside out, in different colors and formations. The forceful and bright accentuation of the building’s base causes the cantilevered structures above to appear as if they’re almost floating weightlessly in the air.